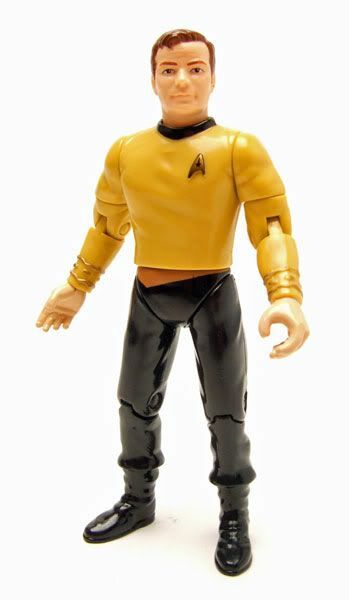 Playmates released these figures as part of it's Star Trek "Alien Series" Mutli-Packs. 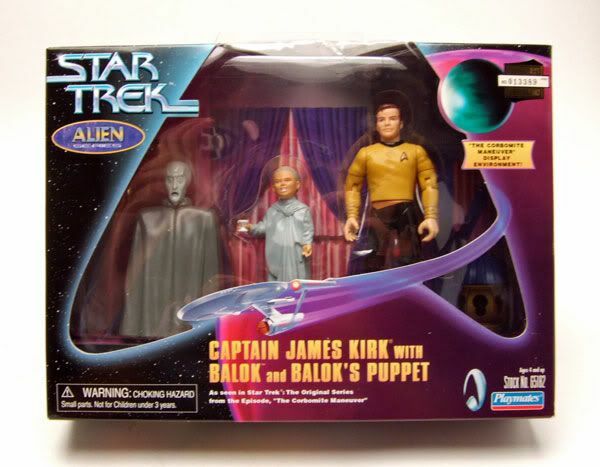 The Rundown: Following Kenner's success with their Star Wars Cinema Scene Multi-Packs in 1997, Playmates followed suit with it's own multi-packs in 1998 called "Alien Series" (yeah, the name kinda stinks). Ordinarily, I'd break a multi-pack down into multiple reviews, one for each figure. This pack, however, doesn't offer a whole lot to work with, so I'll cover all three figures in one. One little gold paint app to mimic the away team belt worn in the episode. Not really a big deal, and not enoguh of a difference to make him worth buying the pack just for this figure. 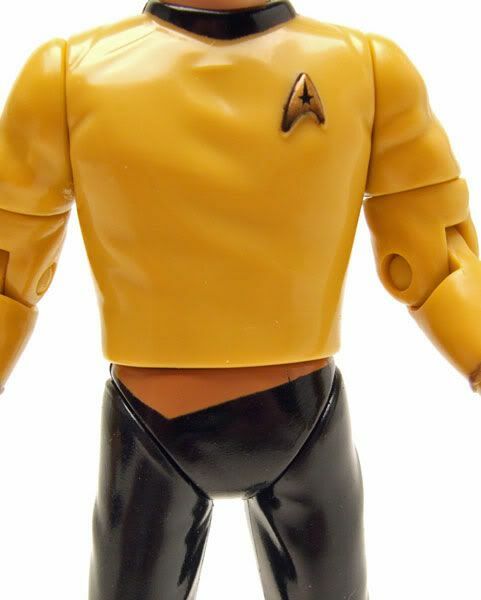 Oh, and he doesn't come with a phaser or communicator, which were kinda the point of the away team belt...to carry your equipment on. 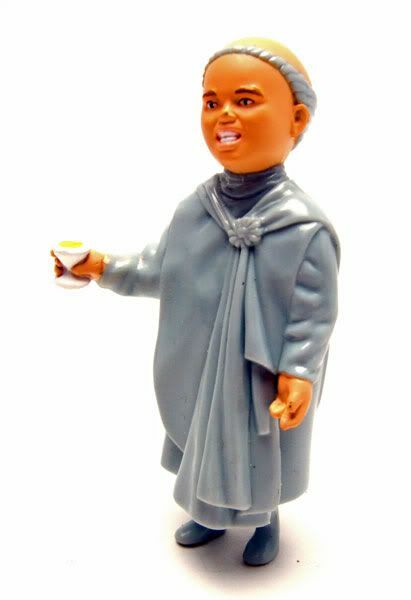 Next up is little Balok. 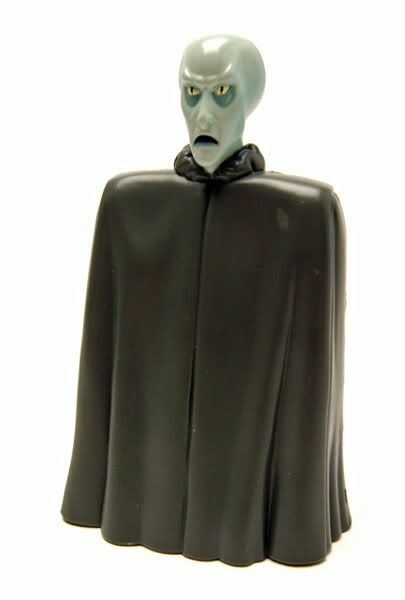 Balok is a pvc figureine with no articulation. 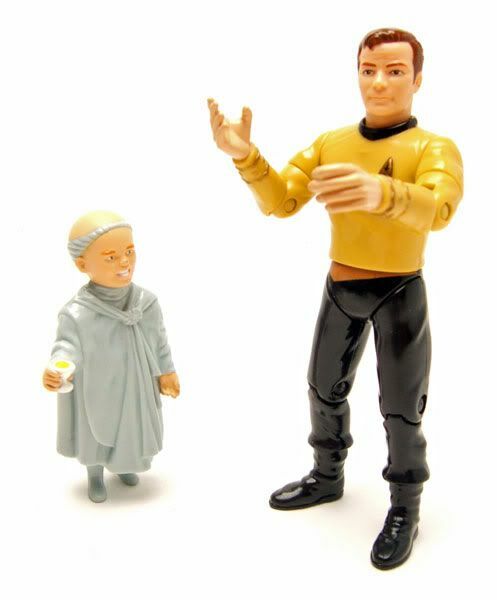 He's made much the same as the other small characters in the Playmates Trek lines, like Nog and Worf's son Alexander (both of those figures were just pack-ins with regular figures however). The sculpt is decent, but he's very light on paint apps. Could have used a bit more detail. 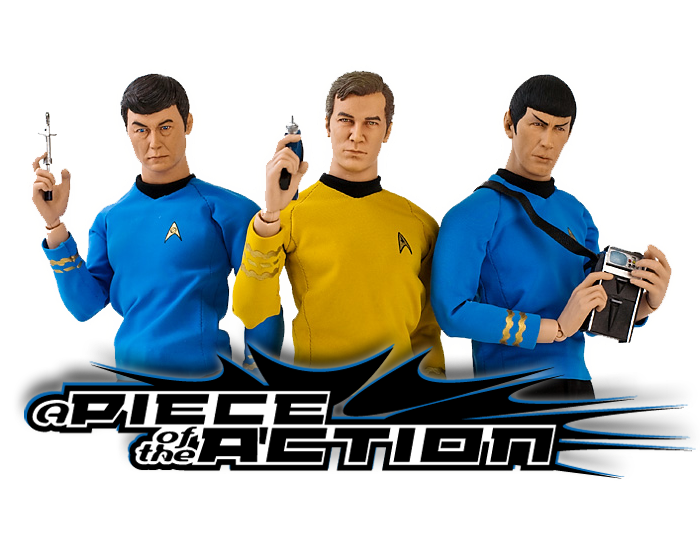 So you're basically getting a very slight repaint, and 2 unarticulated figurines in this pack. When compared with the other Aliens Series Multi-Packs, that's pretty much a bummer. 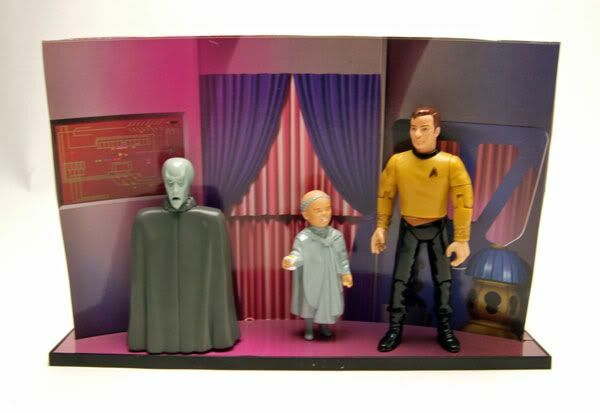 Other sets like the "Fistful Of Datas" set give you 2 regular figures AND a PVC...and then there's the pack with the insanely awesome Species 8472 figure AND a tweaked Harry Kim. It's hard to think this Corbomite pack has the same value for the retail cost in it than those do. 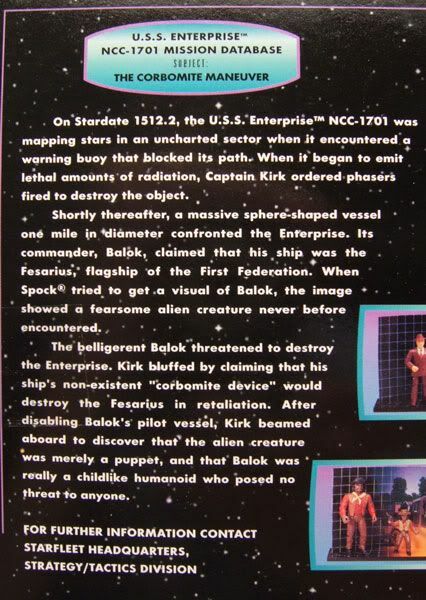 Still, it's Balok, and Balok rules in my opinion. Plus, the set comes with a cool backdrop. Oh, and you can snag them pretty cheap nowadays, so I'd say it's worth it's current price, but probably not for what they were charging when it was first released. Want to read the mission log from the box? Sure you do! Labels: Balok, Kirk, Playmates, Playmates 4.5"